Learn what a Blessing Bag is and how to make one by clicking the link below. Blessings Bags. How to create plus a free printable checklist of supplies needed. 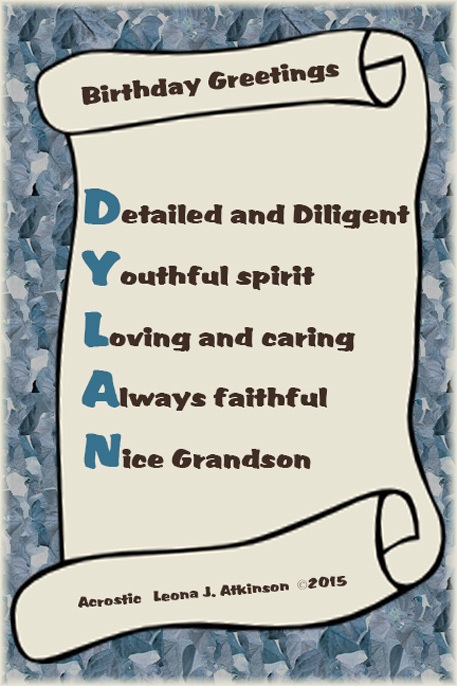 Birthday Greetings to my grandson, Dylan today!